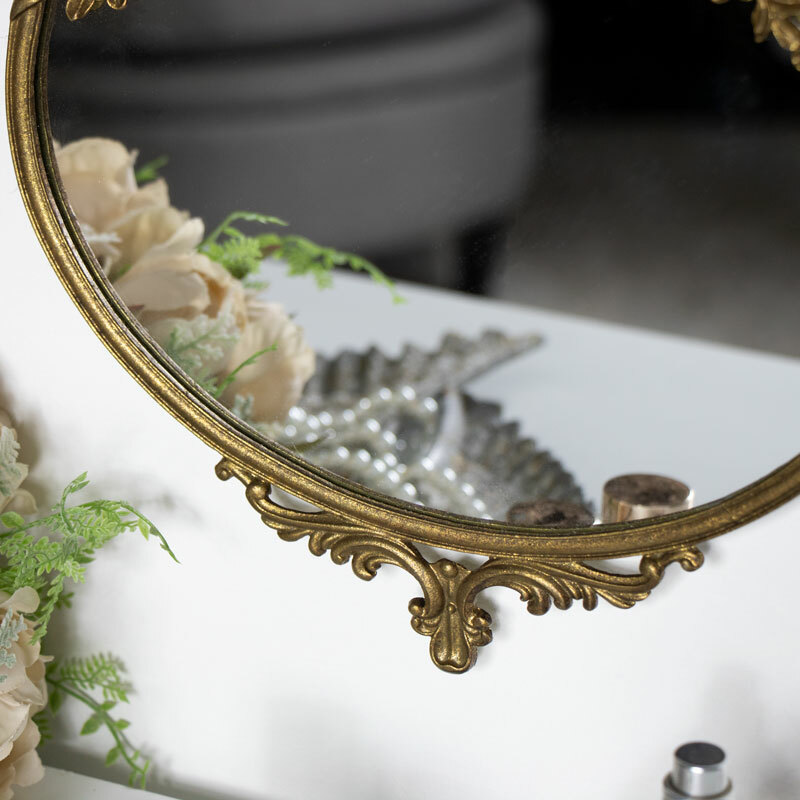 Add some vintage French inspiration to your decor with this beautiful gold wall mirror. Perfect for adding a shabby chic feel to your living room or bedroom. Oval shaped with floral and swag detailing, perfect for a girly boudoir. This little mirror will also make an ideal little bathroom mirror. 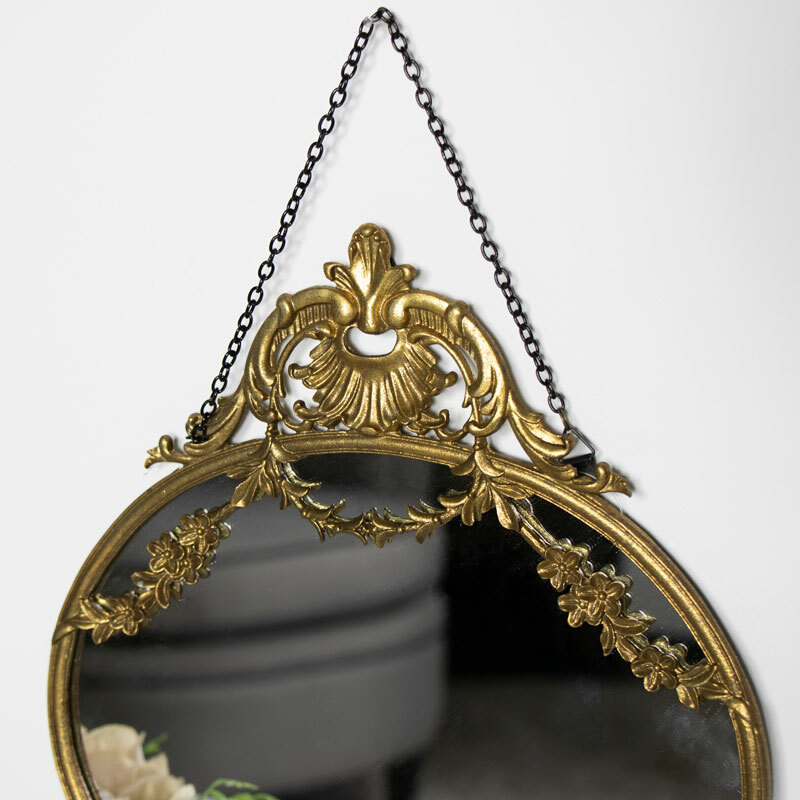 The frame is made from resin and painted in an antique gold with distressing to give an aged appearance. Easily wall mounted from the metal chain. 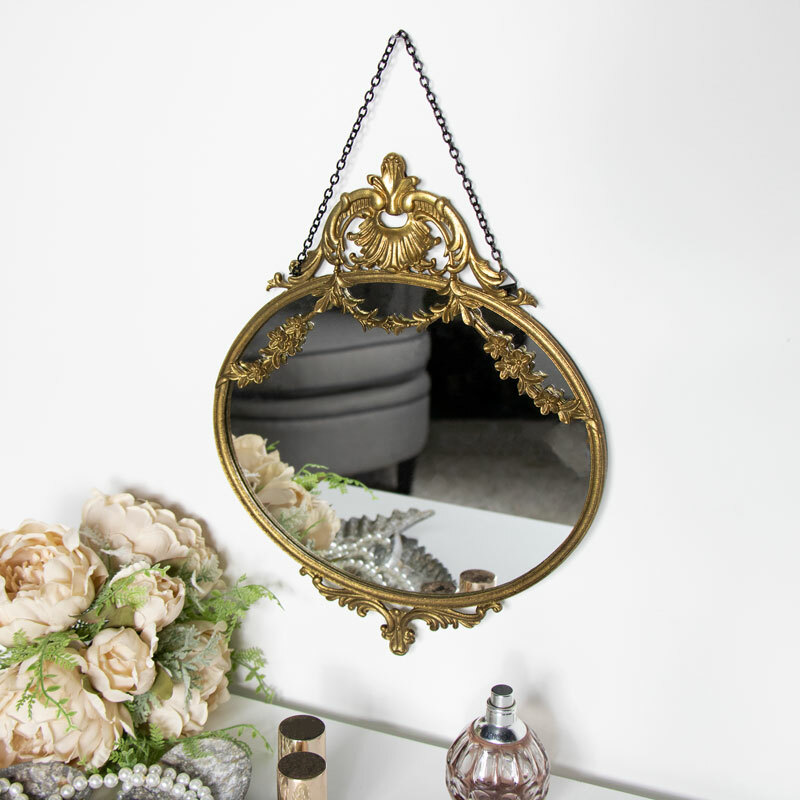 Another fantastic addition to our growing range of wall mirrors. From the extra large to the small decorative mirrors, we have every size, style and colour to suit every interior style.